You remember Long Island's Irv Gordon, don't you? If not, he is the guy who has traveled around in his red Volvo P1800S since he bought it in 1966. Now, he's getting close to putting 3 million miles on the clock. 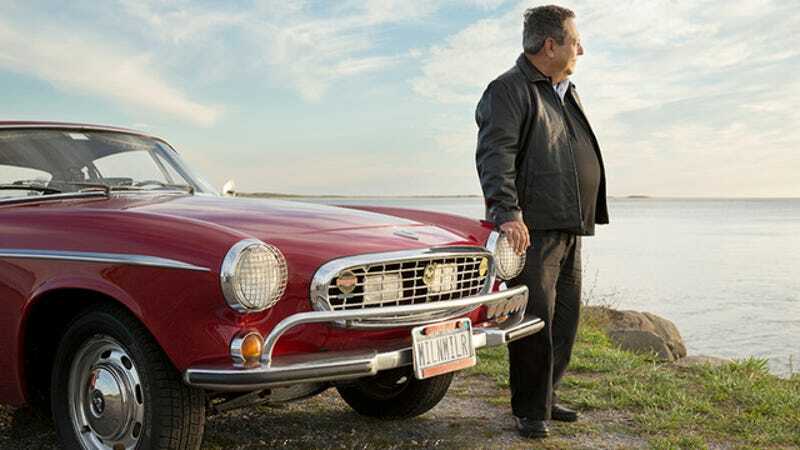 Since Irv was never aiming for the records and simply got there because he believes "the best way to explore America is by car", Volvo launched a campaign to promote his stories. I challenge everyone to go out and see as much as possible. Find your own journey and reason to believe because you only have one life to live. No matter how many roads I've been on, there's always one I haven't taken. That's what makes it exciting. Because Irv follows the owner's manual and truly cares for and loves his car, I have no doubt he'll reach three million. Irv always says he takes better care of the car than himself! And he's fun to ride with on trips because you don't need a map. I'm realizing this will be a record that no one will surpass," he said. "So, these next few thousands of miles will be special and sentimental for me. I'm looking forward to visiting my favorite places in big, beautiful America - from national parks to roadside cafes, from the Pacific Coast Highway to small roads that are miles from the Interstate. Send me an invite and maybe I'll meet you for a cup of coffee.